Australia defeated India by 146 runs in the second Test to level the four-match series at 1-1 here on Tuesday. Despite being on the receiving end in the second Test against Australia, India skipper Virat Kohli has praised the effort of his bowlers and hopes they carry the momentum to the next games as well. Cricket star Mahendra Singh Dhoni has been appointed the India ambassador of Italian luxury sports watchmaker Panerai. Lazio are without a victory in their last five matches after losing 1-0 to Atalanta in a Serie A contest where the video assistant referee (VAR) played a decisive role. The Indian Premier League franchise Mumbai Indians (MI) on Tuesday inducted former left-arm pacer Zaheer Khan as Director of Cricket Operations. 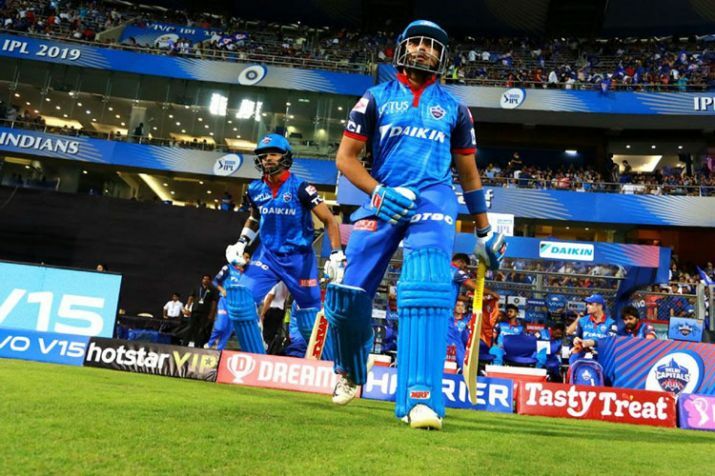 India discard Axar Patel was on Tuesday bought for a whopping Rs five crore by Delhi Capitals while veteran Yuvraj Singh remained unsold from among the first set of players who went under the hammer in the Indian Premier League (IPL) auction here. Jose Mourinho has been sacked as the manager of English Premier League team Manchester United, the club announced on Tuesday. Sydney: Australia skipper Steven Smith on Saturday said that the pitches did not "break up quite as much as expected" during the four-match cricket Test series against India and it hampered the home side's chances of winning by a bigger margin. He "hates" defeats but Indian captain Virat Kohli today said he was not too disappointed by the Test series loss to Australia as his team put up a tough fight, displaying "intent and character" all through. Chairman of the Pakistan's national selection committee Moin Khan has said that Pakistan would have to play a fearless but sensible cricket in order to thrive in the upcoming World Cup. India survived a scare in the final session of day five to draw the fourth and final Test against Australia at the Sydney Cricket Ground (SCG) here Saturday. Former England captain Kevin Pietersen has once again criticised his former international colleagues, suggesting he was the victim of professional jealousy. Explosive opener Chris Gayle announced his return to international cricket after nearly five months with a stunning half-century, but the West Indies made a meal of their target before stumbling past South Africa by four wickets in the opening Twenty20 International of the three-match series here. The West Indies Cricket Board (WICB) will for the first time speak on the report submitted by the task force that was commissioned to investigate the controversial abandoned India tour last year. In a release, the WICB said it had now studied the report in its entirety and would make "a specific announcement relating to the way forward following the Saturday meeting", reports CMC. Skipper Michael Clarke and pace spearhead Mitchell Johnson were the only representatives from the current Australian cricket squad to find a place in the country's all-time XI named by spin legend Shane Warne on Friday. Wellington: New Zealand bowling coach Shane Bond will quit after the World Cup Feb 14-March 29. New Zealand Cricket’s head of cricket Lindsay Crocker said Bond did not accept the contract extension that was offered to him.